Werner Bischof is a photographer who was born in Switzerland. He studied photography with Hans Finsler in his native Zurich at the School for Arts and Crafts, before opening a photography and advertising studio. 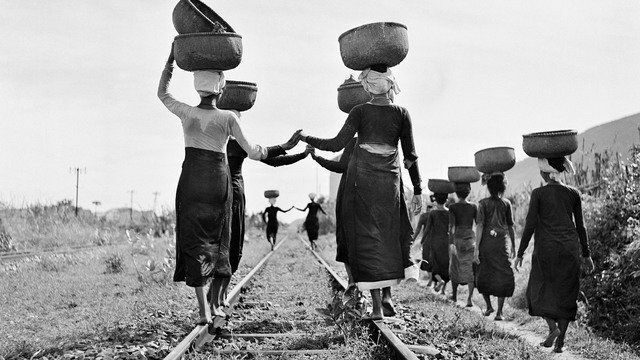 In 1942, he became a freelance photographer for Du magazine, which published his first major photo essays in 1943. Bischof received international recognition after the publication of his 1945 reportage on the devastation caused by the Second World War. In the years that followed, Bischof traveled in Italy and Greece for Swiss Relief, an organization dedicated to post-war reconstruction. In 1948, he photographed the Winter Olympics in St Moritz for Life magazine. After trips to Eastern Europe, Finland, Sweden and Denmark, he worked for Picture Post, The Observer, Illustrated and Epoca. He was the first photographer to join Magnum with the founding members in 1949. Disliking the 'superficiality and sensationalism' of the magazine business, he devoted much of his working life to looking for order and tranquility in traditional culture – something that did not endear him to picture editors looking for hot topical material. Nonetheless, he found himself sent to report on famine in India by Life magazine (1951), and later went on to work in Japan, Korea, Hong Kong and Indochina. The images from these reportages were used in major picture magazines throughout the world. In the autumn of 1953, Bischof created a series of expansively composed color photographs of the USA. The following year, he traveled through Mexico and Panama, and then on to a remote part of Peru, where he was engaged in making a film. Tragically, Bischof died in a road accident in the Andes on 16 May 1954, only nine days before Magnum founder Robert Capa lost his life in Indochina.